This e-learning course is the perfect way to gain the knowledge you need to get a cabin crew job without the hassle and expense of a weekend away. The course has been carefully designed to be interesting, interactive and engaging whilst giving you the essential skills to become the perfect airline employee. The time spent doing it will fly by! Love the sound of all the things you would find out on our ‘Get a Cabin Crew Job’ two day course but can’t get there in person? You can now learn everything you need to know to get your dream job this year with our fantastic Online Cabin Crew Course! Not everyone finds it easy or convenient to attend a course in person. Taking a weekend out of normal life or even undertaking the journey isn’t an option if you have certain work or family commitments. We are excited we can now offer you the perfect alternative. You can complete our ‘Get a Cabin Crew Job’ course from the comfort of your own home computer or laptop. You needn’t miss out; we’ve made sure the online course shares all the tips and know-how you need to fly through the cabin crew selection process. It’s just a different type of training to suit a wider range of needs. A cabin crew job will not just give you opportunities to travel but also give you career development and great benefits. Recruitment is at an all- time high, but competition for every job is FIERCE. Intense scrutiny on the industry means airlines now have to be fussier than ever when making their selection decisions. The best way to show your commitment to becoming cabin crew is to take the initiative and develop your professional skills and knowledge before you’ve even been offered the job! It will impress your interviewers, and what you will learn on this specialist course will do the rest to get you the job of your dreams. Really informative! Excellent case studies. I have my BA assessment day for London City Flyer Cabin Crew soon. I have attended several BA assessments and failed when it came to interview. My nerves got the better of me!! This time Cabin crew wings has enabled me to prepare and feel more confident for the assessment day. What will this online course cover? This excellent alternative training will put you through your paces using case studies, quizzes, real-life stories, fact sheets, interviews, exercises, examples, checklists and videos to keep you interested, motivated and constantly learning! This online course has been fab! “Definitely worth doing this course, outlines every aspects of cabin crew roles/duties/responsibilities and the environment of the airline. I’m over the moon and can’t thank you guys enough!! Module 1 – Course Introduction. 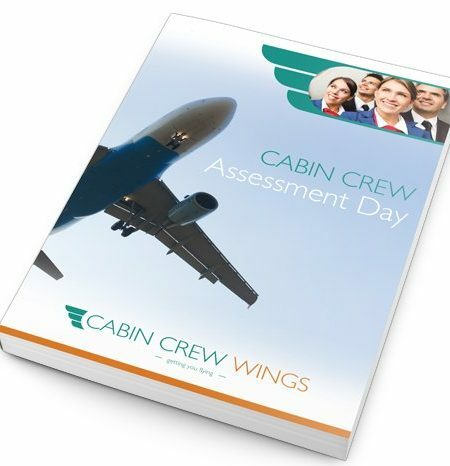 Our case studies, crew quiz and round up of what you need to know is a great intro to the course and start of your cabin crew career! Module 2 – The Industry and the Airlines. What do you know about the industry, brands and corporate identity? Find out with our fun questionnaire and quizzes and useful info boxes. Plus important tips on staying up to date and interview ready. Module 3 – The Cabin Crew role. Get into the nitty-gritty with essential information on cabin crew priorities, roles and responsibilities. Plus critical information on safety & emergency procedures and behind-the-scenes on dealing with difficult on-board scenarios. A must-have module to show you’ve done your homework into the role and are ready to go into your training with your eyes wide open. Module 4 – How to be a stand-out candidate. Module 5 – Applying for the job. 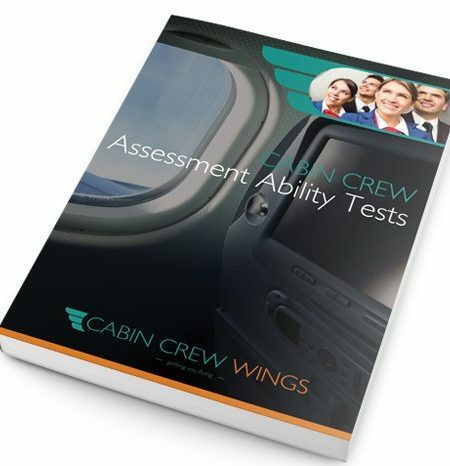 Packed with fantastic tips, do’s and don’ts and helpful short exercises to get your CV cabin crew ready! Use checklists and fun games to massively improve your CV and sail through to the next stage. Module 6 – The Assessment Day. When the pressure is on, you need to be confident you know what to expect from your assessment day and how to shine, whatever the day brings . We test your knowledge, teach you key strategies and give plenty of real-life examples to fill in all the gaps. This module will leave you 100% ready for the biggest day of your career. Module 7 – The Interview. From how it will look to all the different sorts of questions you will face, this module has your interview covered from start to finish. We don’t just give you practice questions, we hold your hand to cleverly build up star-studded answers, each and every time! Module 8 – Online Course Certificate. Complete the final course test to earn your certificate. You can take this to your interview to prove your hard-work and commitment to getting a cabin crew job. Take each of the 8 crucial modules at your own pace, using the fun quizzes and summaries to check your knowledge as you go. We’ll provide opportunities for you to gain feedback on your progress throughout the course and can review your CV, application form or interview answers if you need us to. You’ll be able to access on-going support with your airline applications from our friendly and knowledgeable team. You will gain a certificate at the completion of the training programme to take with you to your interview. I applied for Qantas International in May and was successful. Out of 10,000 applicants they picked 400 people. I believe your online course truly helped me get the job as unlike other applicants I had never flown before. I love my job, so far flown to Hong Kong, Singapore, Japan and Bangkok. I really knew how to sell myself after the course and learnt a lot about the airline industry. I couldn’t have done it without you…Thank you so much! Join this exclusive online course for only £39.99 and start your Cabin Crew journey TODAY! Hello, If I take the online course now can I use it any time ? I mean if I buy for example the course now , can I read it after 10 days on my leptop ? will be the same? or if I buy it now I have immediately to start ? Hi Monica, you have lifetime access to the online course once you have purchased it and can complete it at your convenience! Hope that helps with your decision.